Why I read, why I write: Making jewelry for the inside of your head. OH GOD Elizabeth Gilbert nails it, all of it, in this very long, very wonderful interview with The Rumpus. Most people know her from Eat, Pray, Love and many “serious” writers and readers tend to dismiss her because of the chic lit nature of that particular book. But she’s so much more than that! She’s a wonderful nonfiction writer (The Last American Man is one of the most fascinating true stories I’ve ever read) a sharply funny fiction writer (Pilgrims, her short story collection, is also worth a read) and one of the best TED speakers ever (seriously, go watch this right now—it’s awesome). I’ll stop fan-girling now and stick to the facts. Fact: Elizabeth Gilbert makes me feel better about getting rejected, because that’s just a fact of writerly life. Fact: Elizabeth Gilbert recognizes the value of hard work and fights against the whole idea of genius, a toxic concept that’s killed plenty of genuine creativity. Fact: Elizabeth Gilbert also recognizes that writing isn’t truly that important. It’s not! It’s a wonderful thing to read and a wonderful thing to write, but it’s not the be-all-end-all. It’s one way of addressing the existential despair and the turtles-all-the-way-down nature of the unknowable universe but it’s not life or death. And, once you recognize that slightly uncomfortable fact about our work, there’s no excuse for not having some goddamn FUN with it. 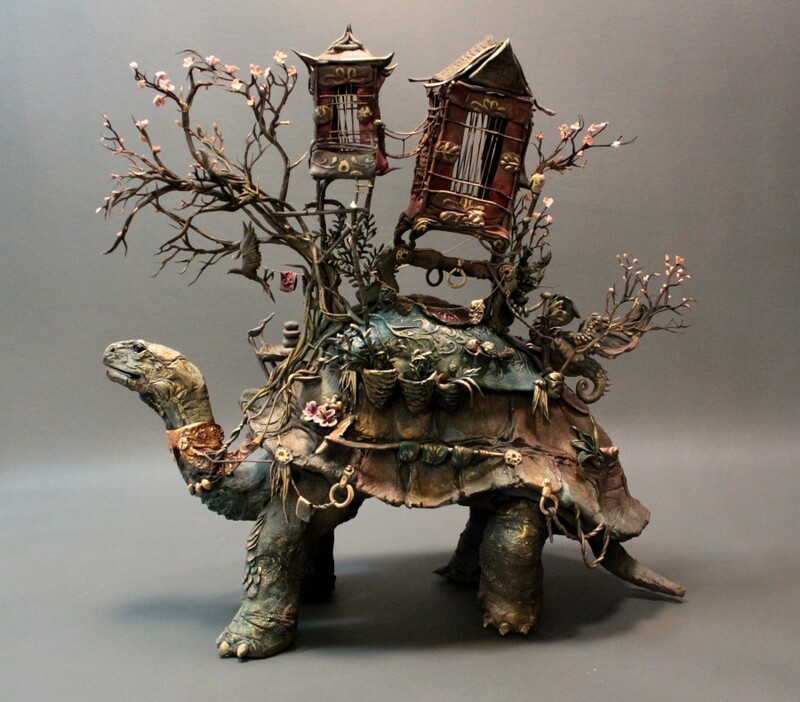 Above image: sculpture by Ellen Jewett, a Canadian artist who creates fantastical and otherworldly animal pieces. < Previous The ultimate mombod. Next > I learned how to be a girl from Mary Karr.